The minister also spoke about labour laws causing disputes between EU member states and explained why Estonia has the bloc’s biggest gender pay gap. 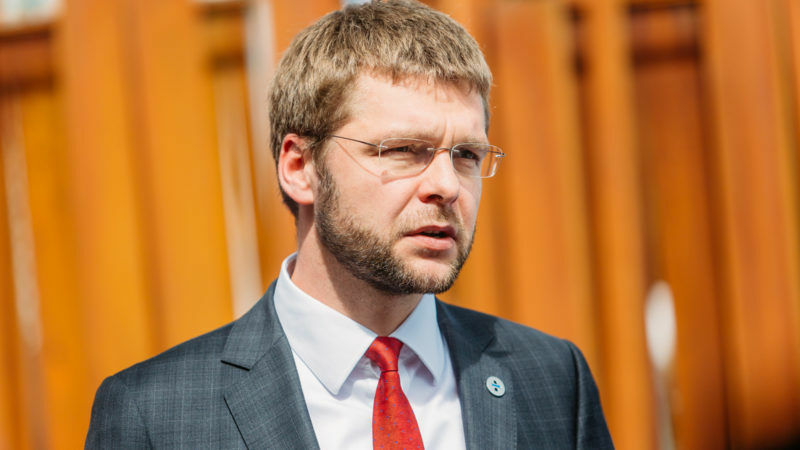 Jevgeni Ossinovski has been Estonia’s labour and health minister since November 2016. He is chair of the Estonian Social Democratic Party. Ossinovski spoke to EURACTIV’s Catherine Stupp. EU labour laws have gotten a lot of attention recently. 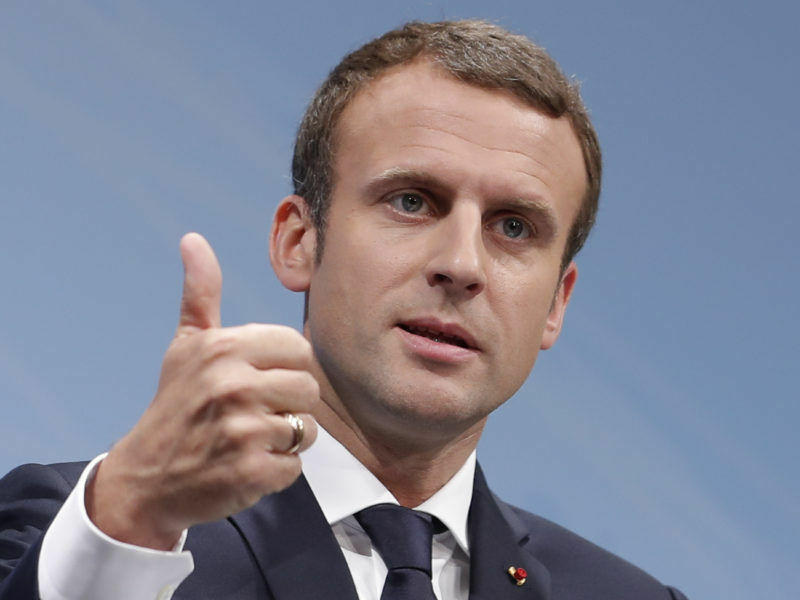 French President Macron visited Central European member states last week and brought up the controversial posting of workers directive. Are social issues driving member states against each other right now? No, I would certainly not say that. 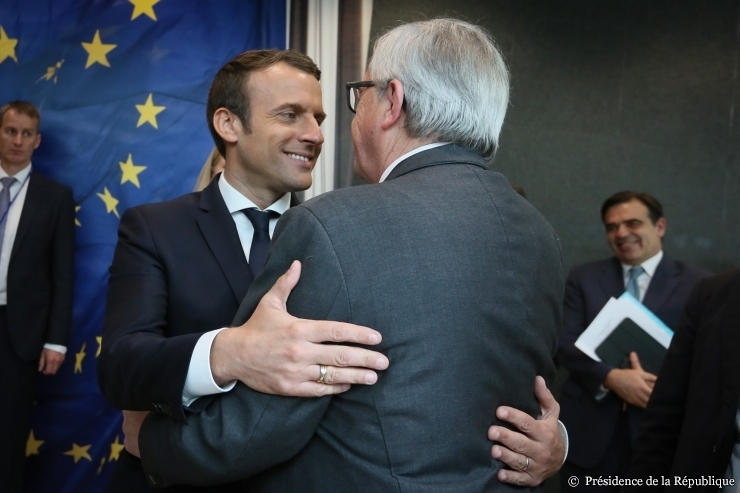 Of course, some of the social issues clearly are parts of wider debates on the future of Europe, on how far we want to go with our cooperation in the EU. And based on different views in the member states on that question, that influences their attitude towards some social aspects. It’s an issue that goes to the very core understanding of where and how fast Europe should proceed. It can understandably create some disagreements among member states. In the end, I think we all realise that regardless of whether you’re a strong European federalist or not, there is a need for clear and enforceable rules on social coordination in order to enhance the proper working of the single market. We realised that a long time ago and that’s the reason why we have quite a few regulations in place already – the posting of workers or the social security coordination regulation. If you look at the posting of workers itself, it’s part and parcel of the single market, it’s part of the free movement of people and goods and services. But on the other hand, the patterns of people who live and work in the EU are constantly becoming more complex. Arriving at a clear and enforceable logic there is not the easiest of tasks and that’s why these discussions have been very difficult. European Commission President Juncker has been outspoken about labour issues like the minimum wage and the posting of workers. Do you think the Commission has taken a clear stand supporting some western EU countries’ positions on those issues? I wouldn’t say that definitively. But it’s a matter of discussions on the future of Europe and I think the Commission’s proposals should be viewed in this context. We see that technology is having a profound impact on the workings of the single market and there is a clear need for social aspects of the union to be addressed. I welcome the social pillar of the Commission as a set of core social values for the union so Europe would remain a convergence engine. I wouldn’t go as far as saying we should have a single minimum wage in Europe in the foreseeable future, but we need a clear mission towards more convergence in the union. During Macron’s mini-tour of Central Europe, the posting of workers was the headline issue. Is there a risk that France is really driving this legislation? No, certainly not. We’re of course closely listening to developments in terms of member states’ positions. That particularly concerns France, which has a new government since the spring. But we also look at developments in positions of other member states that do have serious reservations on some points. And I’ve told those countries that are sceptical of the whole proposal and western European countries, including France, that it’s a matter of achieving a balanced proposal that would more or less respect different worries that have been raised. It’s not only to be commended, but it’s necessary that those member states that wish to find more support for their proposals would work themselves in order to convince others. That’s how decision making in the Council works. For some of the eastern member states that were already sceptical of the posting of workers proposal, a new legislative proposal last year to reform the transport sector and truck drivers’ wages was like rubbing salt in their wounds. Was this proposal a concession to western EU countries? I will refrain from giving my opinion on that. I think we were close to an agreement [on the posting of workers] during the Maltese Council presidency [in January-July 2017] but for some reason it didn’t happen. This stage of development is now passed and we’re working towards a compromise at the October EPSCO Council meeting. Truck drivers are the latest workers to come into the European Commission’s sights in its bid to build a more ‘social Europe’, with new rules designed to make sure drivers from lower-wage countries don’t undercut better paid workers when they travel to other EU member states. Germany, Denmark, Ireland and Austria want the Commission to allow them to pay lower childcare benefits to people with children living in other member states. They don’t have a majority in the Council. Could these countries still get what they want or is this debate about political posturing? I would at this stage not comment on that. But the files we have committed to work with, the social security coordination, I think it’s important to make progress with all of them. 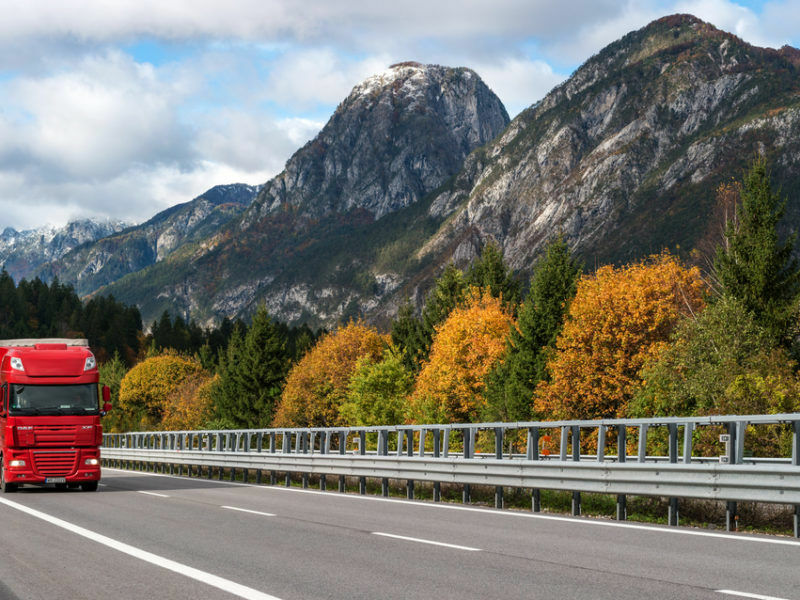 One of the serious risks in terms of getting to a compromise on the posting of workers is a quite natural linking together of the posting of workers directive with the security coordination and also the road transport package. Of course one cannot underestimate that there are links to both of these files. But if we start vetoing and moving forward with one of them because we’re unhappy with issues that haven’t been resolved in others, then I think we will end up in a deadlock. In this regard, we are looking at some of the proposals that some member states have put forward. We try to convince member states not to link these different files together. In my view that is quite counterproductive to moving forward with any of them. 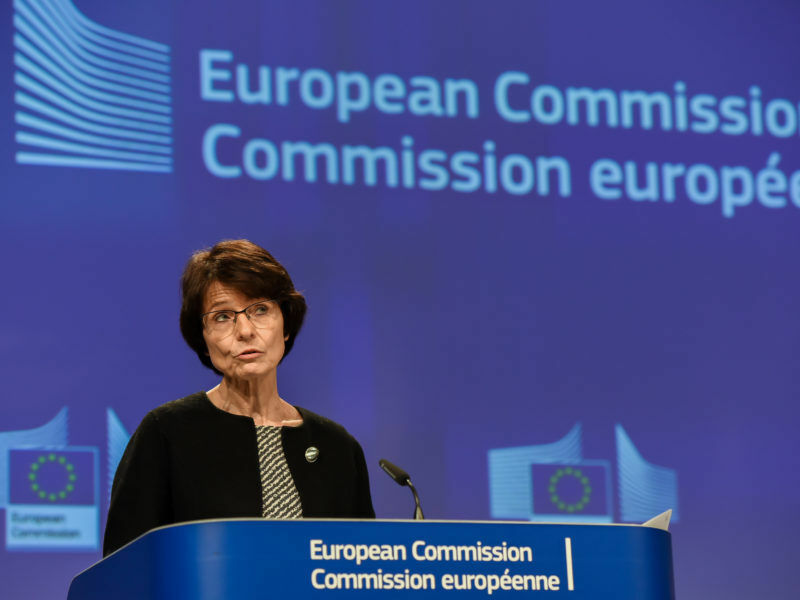 The Commission is reviewing an EU law by the end of this year to reform how written contracts could be required for more precarious app economy jobs like Uber drivers or Deliveroo delivery people. Estonia has presented itself as the most digitally connected EU country. How far do you think this legal overhaul should go? It’s a much wider debate. Technology helps you adjust your social protection to the new methods of work and entrepreneurship. With developments in technology and changes in the labour market, we see more project-based work and more movement of people between countries but also from position to position. Guaranteeing social protection to all citizens is becoming a more important issue. One of the risks is of trying to adjust or use a traditional legal instrument to tackle new problems. That is not always what works best. In Estonia, we are in the process of solving in the next year the issue of both tax collection and social protection of, for example, Uber drivers by creating separate entrepreneurship accounts in the bank. It’s a non-bureaucratic model for collecting taxes. It already works for Uber drivers in Estonia to directly take earnings from the Uber platform to the tax board. At the same time, once a person earns over a certain threshold, they will automatically get health insurance and other types of social security benefits without actually having a written contract. Exchange of best practice is very important. Estonia has some of that done and solved. But none of the member states have a full and clear way of doing this. Is there a need for EU institutions to legislate on this? If we look at the increasing amount of work across borders and also work based on platforms that are more widely available than in one country, then there is a need for wider and clear minimum standards on social security. With these developments in the digital economy and society, we clearly need more social Europe rather than less. Estonia has the biggest gender pay gap in the EU – women earn on average 26.9% less than men. There have been a lot of reports recently about the macho culture in some technology companies. Is there a connection between the importance Estonia gives to its digital economy and its big gender pay gap? I wouldn’t say so. The question of women in IT is important both in Europe and Estonia. But in Estonia, we know that the concentration of women in the ICT sector is higher than average. With regards to the gender pay gap in Estonia, of course, we can’t be proud of the current situation. It’s really shameful as it is. There are a variety of factors for that. We know that the labour market participation rate for women in Estonia is very high. Although there are a lot of women on the labour market, many of them work part-time, so their earnings, as a result, are lower. That’s the main explanation. And like everywhere in the world, there are gender stereotypes. There is no reason to somehow try to hide it. In countries in central and eastern Europe, the value system, as a result of our historical experience, is on many issues different than in some other countries. We know there is labour market segregation in some professions, like teachers. To a significant extent, it’s a matter of sharing the care burden within the family, which in Estonia is very unevenly shared compared to Nordic countries. We are putting a lot of emphasis on changing our parental leave, which is the most generous in the European Union. 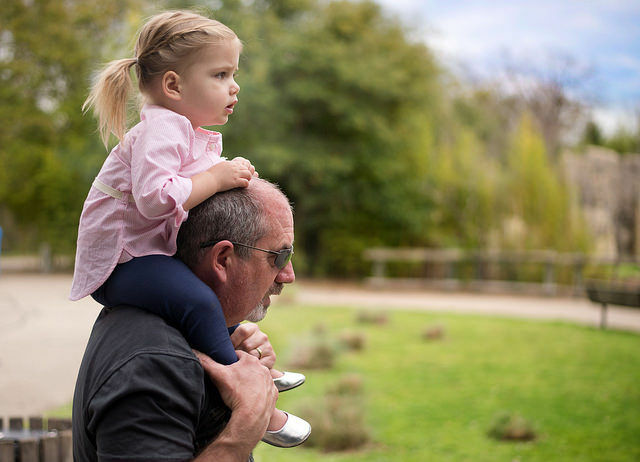 We have 100% paid leave for one parent, usually for the mother for one-and-a-half years after the birth of a child. That means that compared to some other countries, Estonia subsidises women staying at home for longer and that, of course, has a certain effect on the labour market. Should the Estonian government intervene more to change the gender pay gap? There is a new bill to share parental care more equally between fathers and mothers that are going to the parliament soon. We have discussions on the Commission’s draft directive on parental leave. We are currently working and have technically finalised the idea of introducing a gender pay gap speedometer. That would allow companies and government agencies to get systematic, register-based statistics on the gender pay gap based on the information that the government already collects from companies through the tax board and the statistics office. We’d give companies a systematic view of the gender pay gap issue in their own companies so they could improve. We plan to make it mandatory for the public sector to publish those statistics so that there would be more public pressure for agencies and the public sector to do more. In the past five years, we see attitudes changing in Estonia. But unfortunately not quickly enough.